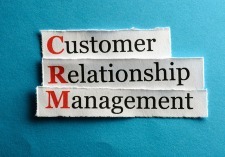 When it comes to implementing Customer Relationship Management (CRM) systems, an organization’s priorities are often confused due to poorly defined business requirements, lack of proper change management and, most critically, inconsistent prioritization of the people, process, and technology involved. Process and technology must be addressed in that order, with the human factor naturally being considered throughout the entire implementation lifecycle. The idea is to take technology (or tools and systems, of which you may use several) out of the equation in order to determine your CRM business problem and better focus on people and process. Unfortunately, we find many organizations first decide to implement a CRM tool as part of their strategic plan, then secondarily adapt the processes to suit the technology, and lastly encourage adoption across the business. This is an inversion of the best business and IT approach. A CRM tool is a technology solution meant to support and better enable a customer-focused culture. If your organization is not committed to being customer-focused, your CRM will sit unused indefinitely. People, including the population or market you’ll be serving, segmenting, and ideally converting, must be at the center of your CRM strategy. Learn more about cultural habits of customer-focused companies. CRM implementations naturally require collaboration across diverse business units and enterprise applications. You’ll need strong, dedicated leadership to champion the change. Of course, it’s important that the C-suite not drop off once the project is completed – real buy-in calls for continued dedication throughout implementation and beyond. Change management is often undervalued during CRM implementations. Engage end-users, or the employees that will regularly interact with the CRM, in all aspects of the implementation; determine their needs, consult them throughout the decision-making process, and gather feedback as the CRM is rolled out. A simple way to achieve widespread adoption is to opt for small, incremental releases, which will highlight areas for improvement and give your team time to adjust to new processes. CRM implementations, like many large-scale endeavors, often start with a bang only to end in a whimper. Save yourself from heartbreak during development by focusing on granular features geared toward solving process problems. An Agile development approach is ideal because it’s easier to manage expectations every two weeks than it is over the course of a year, and keeps the project on track with its goals. The primary purpose of your CRM is to provide business automation that alleviates the need for frequent, time-consuming manual intervention. Analysts should periodically observe how end-users will work with the CRM because it can provide crucial insight for driving adoption and managing expectations. Knowing how employees can best take advantage of a CRM will also clarify your workflow needs in order to achieve ideal process automation for your organization. The above recommendations are key to the success of your CRM strategies and implementations. To learn more about Celerity’s experience with technology integration, visit our services page.